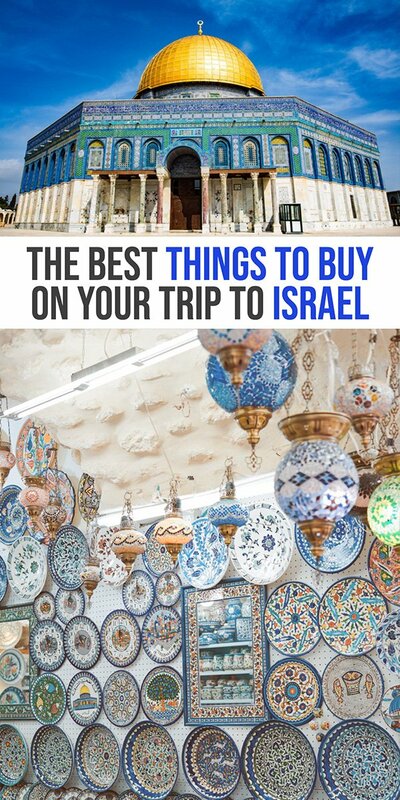 A trip to Israel is not complete without some shopping for the best things to buy in Israel. But if you are wondering what to buy in Israel, you are not alone. 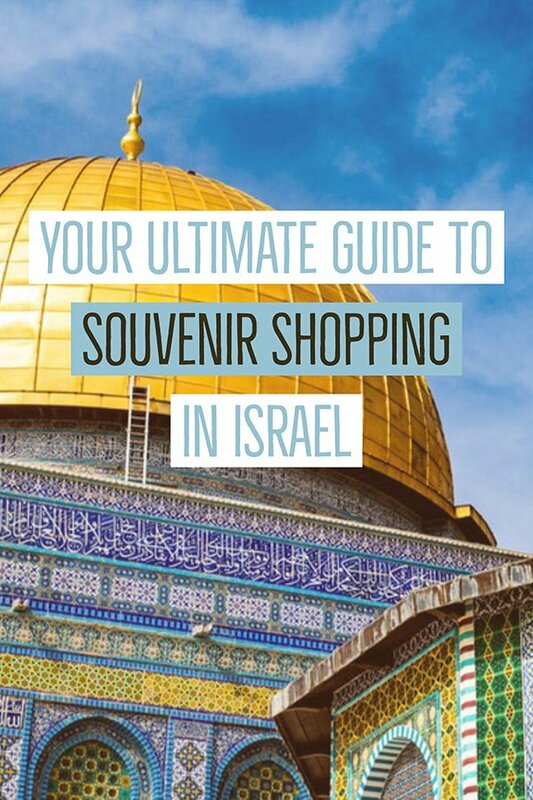 This Middle Eastern country has an array of fun and unique souvenirs to buy when you visit Jerusalem, or Tel Aviv or Eliat. 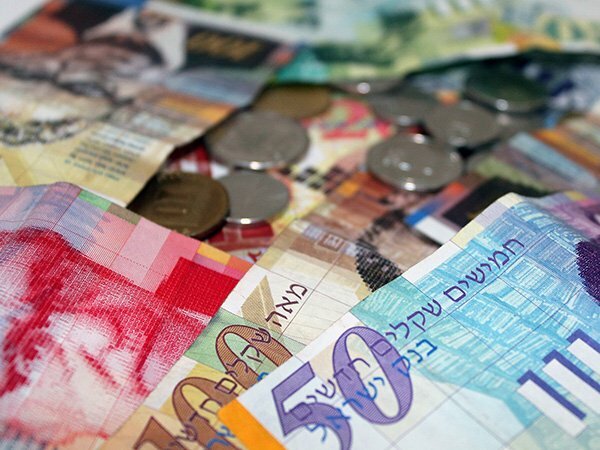 Israel’s currency is called the Israeli New Shekel. 1 USD is equal to about 3.6 ILS (Israeli Shekel). 1 Euro is equal to about 4.1 ILS. (current to March 2019). The Israeli Shekels can add up fast when you check your change as 1, 5 and 10 Shekel denominations are coins. 20, 50 and 100 Shekels are paper bills. Many people, like me, like to bring home gifts from Israel to share with friends and family, as well a mementos from an amazing visit. Keep reading this guide to what souvenirs can you buy in the Holy Land. The Eliat stone derives its name from the city of Eliat, where it was once mined. It is the national stone of Israel and is sometimes referred to as the King Solomon stone. The stones make beautiful jewelry and make great gifts from Jerusalem. The Dead Sea is well known for its high concentration of mineral rich waters and the healing properties that come with it. It is particularly Whether it is salt, soaps, lotions or Dead Sea mud, this is one of the things to buy from Israel for anyone who wants to improve their skin, treat acne, and treat psoriasis. Even if these claims are not true, after covering yourself in the mineral rich mud and bathing in the Dead Sea my skin felt great for days. 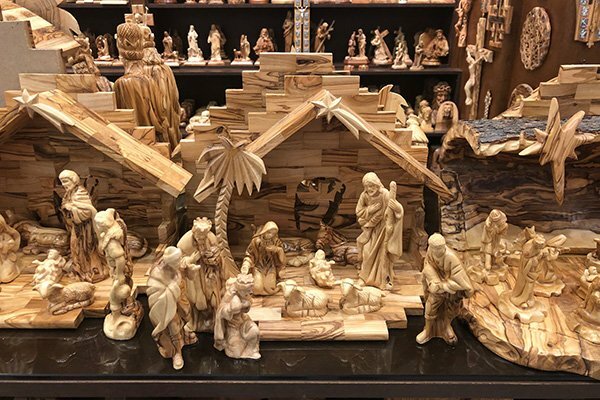 Whether you are looking for a traditional cross necklace or beautiful rings or cross earrings, buying a piece of Christian fashion in the Holy Land is a popular choice. If you are Christian and want to know what to buy in Israel, a stunning piece of jewellery is a great option. If you are not yet headed to the Holy Land, you can pick up some nice jewelry here. The olive tree is native to the Holy Land where it has been planted an cultivated for thousands of years. The olive branch has been seen as a symbol of peace and godwill. The Bible makes many references to olives and olive oil and the olive branch. Wondering why you should buy something made from Olive Wood without damaging these important trees. Well, most olive wood carvings are made from the pruning of the olive trees, which is an essential process for healthier growth of the tree. Armenian Pottery is famous around the world for its striking bold colors, and hand-painted designs. Armenian pottery is known for its high quality designs, whether traditional Christian scenes or ornate hamsa creations. Whether you are looking for a mosaic or a beautifully painted piece, you will find plenty of shops in Jerusalem and all over Israel that sell Armenian pottery. Israeli Zaatar (or Zatar) spice is made up for sumac, oregano, toasted sesame seeds, thyme and salt. it is commonly stirred into olive oil and baked on bread. It is hard to miss and you will find it at breakfast buffets, in markets, and sprinkled all over a variety of foods. You can buy it at any market to bring home from Israel. You can also find this spice more and more at home, but I have never found anything remotely close to what you can find in the Middle East. Dates have been a staple food in the Middle East for thousands of years. The Middle East and North Africa are the main producers of dates. Mejool dates are a large, succulent date and are cultivated in Israel (and other nearby countries). Dates are mentioned in the Bible and the Quran. These are one of the popular edible souvenirs from Israel to bring home and make a great gift or something to share with friends and family. A Kippah is a brimless hat, often made of cloth that is worn by jewish men and boys to cover their head. Some will wear it all the time, and some will just wear it during prayer. It signifies that God is above them and is a way to always honor him. You will see Hanukkah Menorahs all over Israel and they make a great Israeli souvenir to bring back from your trip! They come in all shapes and sizes and some are just decorative while others can actually be used. When visiting Israel, there are so many amazing foods to try! 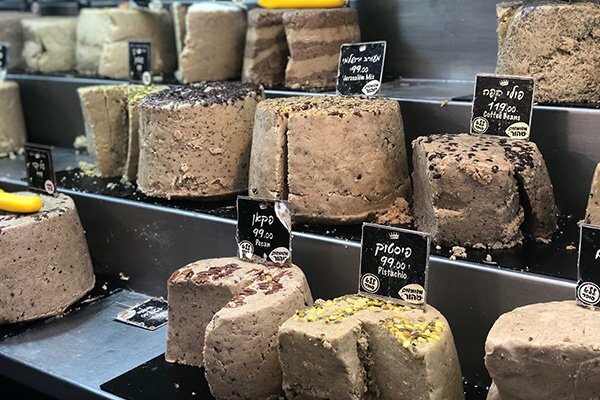 One of my favorites is halva! They have so many flavors in the local markets, you might need to sample more than one! Another popular thing to try is all of the breads! What they call a “bagel” a long sesame seed covered bread is delicious! Dates and other dried fruits are very popular and fruits and juices are prolific around the local markets in places like Jerusalem. 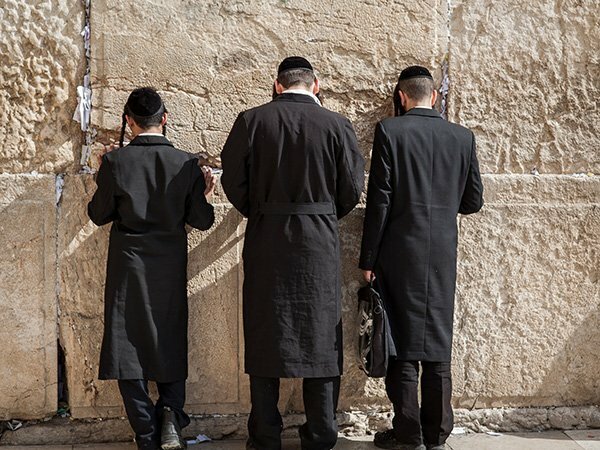 There are plenty of places to buy Jewish Souvenirs, Christian Souvenirs and mementos from Israel all over the country. There are small stalls in the Jerusalem Old CIty as well as large souvenir shops! I did not see many souvenirs at the airport, but it is a big airport and I might have not had any near my gate. To be safe, pick some up before you get to the airport. If you are looking for some things to do in Israel and are on a budget, we took two tours with Abraham Tours and learned so much about this complicated region of the Middle East! 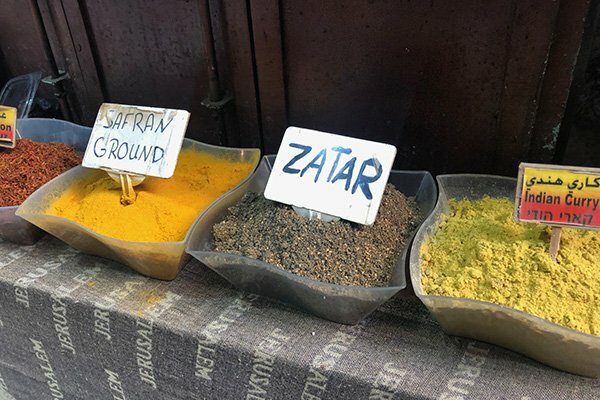 If you are planning on visiting some of the neighbouring countries around Israel, check out things to buy in Egypt, and things to buy in Jordan.